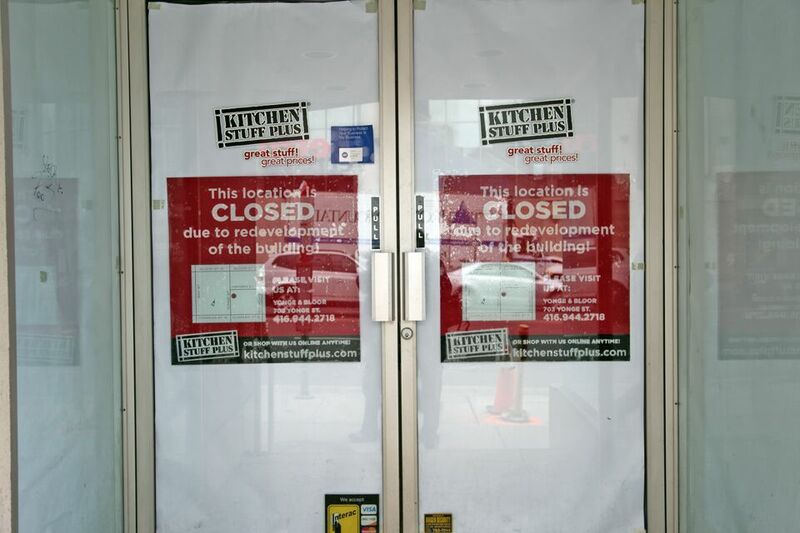 Demolition Commences at E CONDOS. 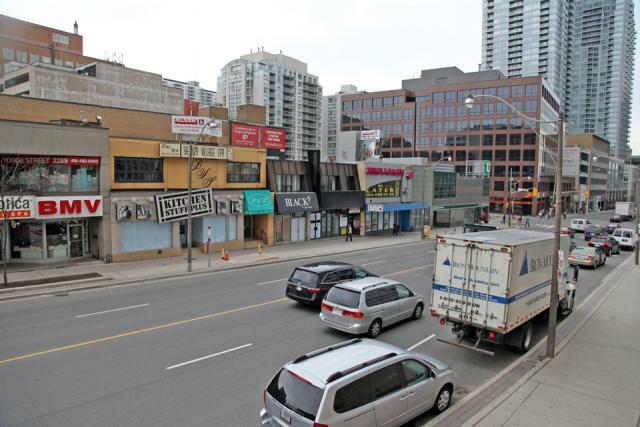 The Yonge and Eglinton area is seeing a great deal of intensification in advance of the Eglinton Crosstown LRT's 2020 opening, with a number of residential developments under construction as well as several more in the planning, approvals and marketing stages. 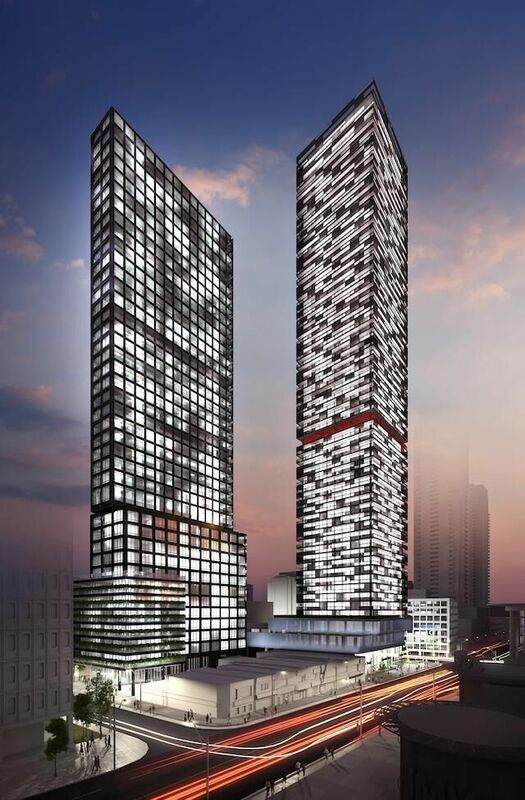 The largest development coming to the neighbourhood is Bazis Metropia and RioCan's E Condos, and construction will soon commence on the Rosario Varacalli-designed 58 and 38-storey condominium towers, which will rise to heights of 642 and 403 feet respectively. The site is currently being prepped for construction, the first step of which will be the removal of the existing buildings located on the site of the future complex. 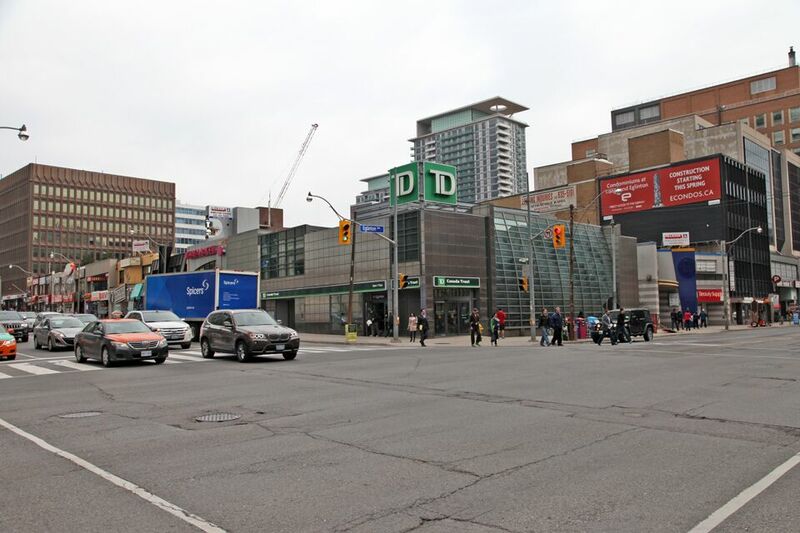 Commercial and retail properties fronting onto Yonge Street and Eglinton Avenue have already begun to vacate the block, and the only remaining storefront on site still open for business is the TD Bank branch occupying the northeast corner of Yonge and Eglinton. To the east and the north, storefront windows are now covered in paper and awaiting demolition while businesses located north of the Kitchen Stuff Plus location remain open and are not included in the soon-to-be-redeveloped land parcel. 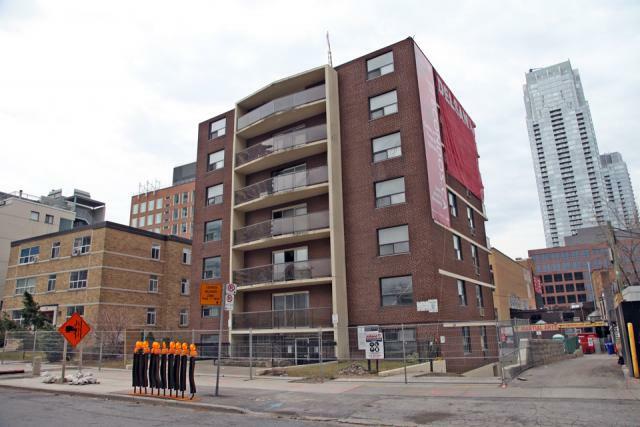 On the north side of the site, a 7-storey, 30-unit rental apartment building at 25 Roehampton Avenue has also been cleared of tenants. 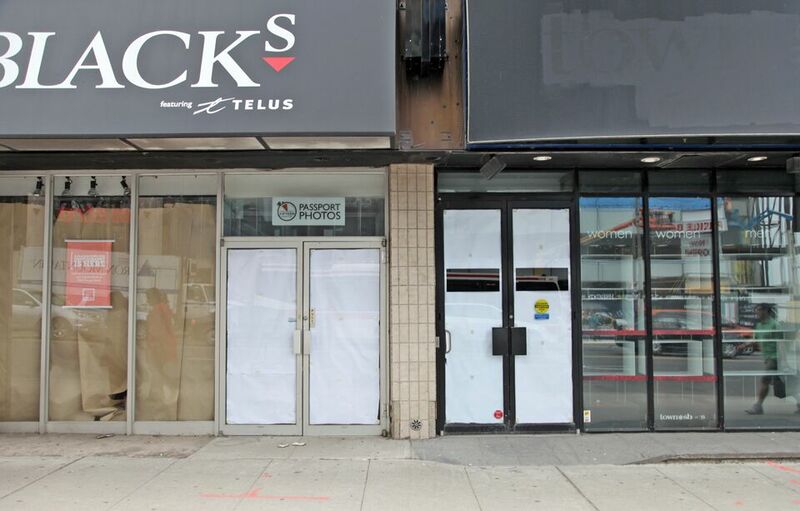 This section of the land parcel seems closer to demolition than the storefronts on Yonge Street and Eglinton Avenue, and a demolition sign in front of the building hints of imminent action. Once construction of the project wraps up in 2017, E Condos will add 854 residential units to one of Toronto's most liveable neighbourhoods, with ample restaurants, shops and entertainment options nearby. In the meantime, additional information and renderings can be found in our E Condos dataBase file, linked below. Want to get involved in the discussion? Check out the associated Forum threads, or voice your opinion in the comments section provided at the bottom of this page. Looking to purchase a condo at E CONDOS? Don't hesitate to click here and get stated.